If it hasn’t been established already, Virgil Abloh now sits in rarified air. 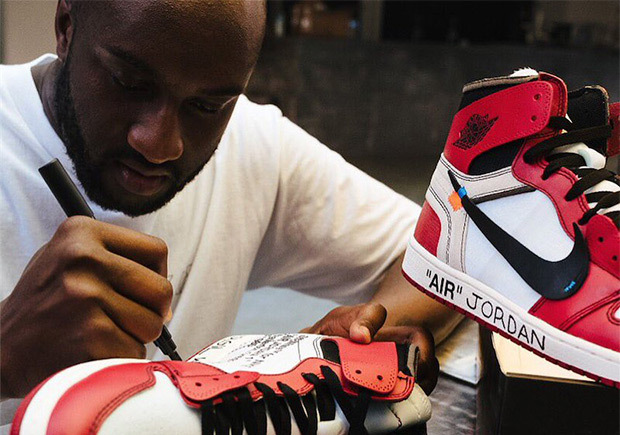 The creative mind behind OFF WHITE and the masterful “The Ten” Collection with Nike just got one of the highest honors in the shoe industry as his Air Jordan 1 was named Shoe Of The Year by Footwear News. Previous recipients include Rihanna, for her work with the FENTY line with Puma, and Kanye West, who played a role in the shift of industry power with his coveted YEEZY line. Virgil’s foray with Nike is far from over; the entire “The Ten” is currently amidst a retail release via raffles (full details here), and Nike even confirmed that the partnership with Virgil would scale in 2018, making him a true creative player in Nike’s future goals. Footwear News plans to make the official announcement in November at their FNAA Awards.